Why Choose Maitland Surgery Center? We are committed to providing quality healthcare. We strive to provide the best care possible by meeting and exceeding standards for high-quality healthcare. More detail can be found on our Transparency in Healthcare page. There are many quality measures and statistics related to ASC’s through the AHCA (Agency For Healthcare Administration). You can access via the link AHCA has provided and we have made available to you below. We are committed to providing quality healthcare. 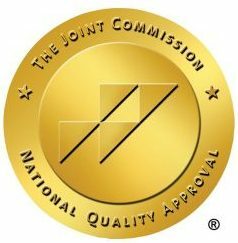 We earned The Joint Commission Gold Seal of Approval® for Hospital Accreditation. The Gold Seal of Approval® is a symbol of quality that reflects an organization’s commitment to meeting optional standards demonstrating a commitment to patient-centered care. © 2019 Maitland Surgery Center, a physician-owned facility.